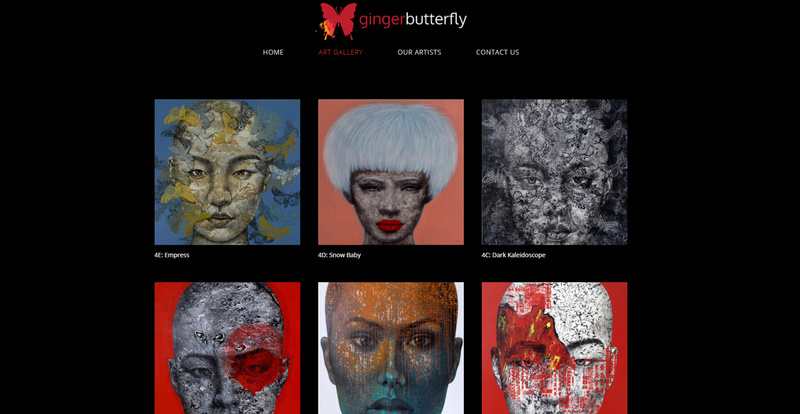 The owners of Gingerbutterfly are a dynamic British/Canadian partnership. Mark curates art from Southeast Asia and brings it to galleries and for sale to corporations and art connoisseurs alike. They wanted a site that showcased the sheer size of the artwork as well as some background on the artists whose careers they have been nurturing. 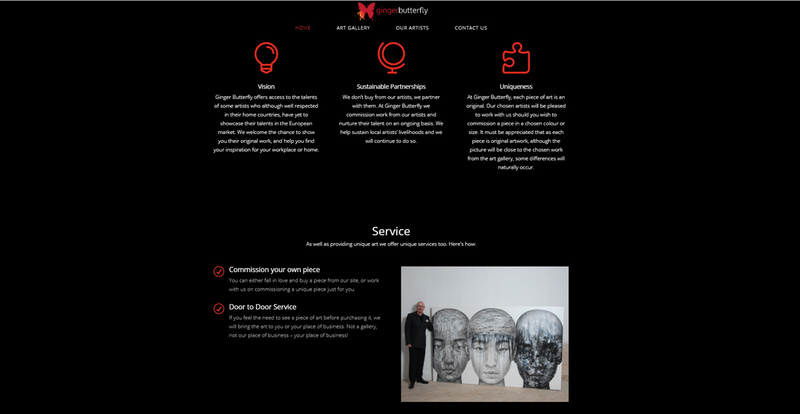 We collaborated on how to best present the artwork and although you must contact the owner to view and purchase the artwork, a fully operational e-commerce segment will be available in time. 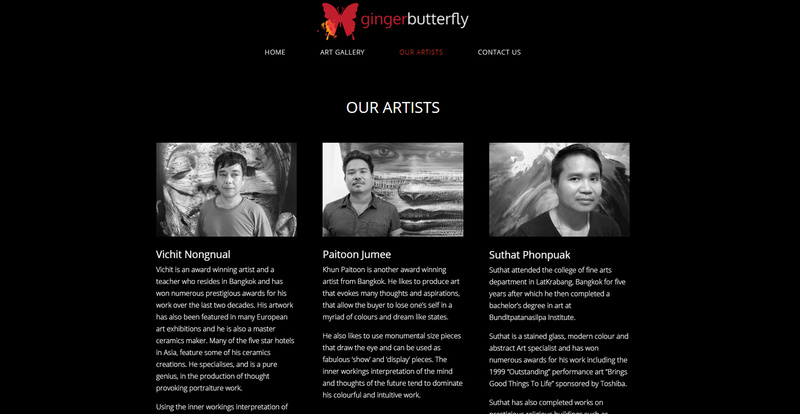 Gingerbutterfly prides itself on nurturing up and coming foreign artists. They commission the artist so that they are able to sustain themselves as professionals.